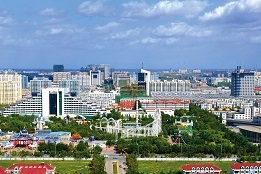 The Investment Promotion Bureau is in charge of the comprehensive coordination, instruction and supervision of the area's investment attraction efforts. The International Cooperation Office takes the lead in attracting overseas investment and talent, organizing international cooperation and information exchanges, setting up and operating overseas business incubators. ​The Investment Service Center is responsible for matching projects with national ministers and big State-owned enterprises.